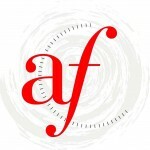 White Plains, NY – The Alliance Française of Westchester is pleased to present two unforgettable programs in May to feed the senses and stir the imagination. The Paris Music Scene: From salons to café will premiere on Friday, May 3 at 8 pm. at the Arts Westchester building in White Plains, and will feature world-renowned musicians performing iconic pieces to illustrate the spectacular changes on the music scene since the late 19th Century. At the end of May, the Alliance presents another stellar program on Friday, May 31, sure to thrill history enthusiasts with a phenomenal experience to mark the 75th anniversary of D-Day. D-DAY: SUNKEN SECRETS, encapsulates the untold story of less known efforts and sacrifices the Allied Navies were facing to help the landing of troops and materials to help win the war. Held at the New Rochelle Public Library at 7 p.m., the event will feature Rear Admiral Samuel Cox, a highly decorated Naval intelligence officer, who today is the Director of Naval History and Heritage Command and Curator of the Navy. Admiral Cox will give a not to be missed speech highlighting his experience and vast historical knowledge, followed by a 60 minute film by Sylvain Pascaud, an accomplished filmmaker and producer known for his fascinating underwater expeditions and research, who led the thrilling D-Day underwater expedition in 2014. During the program, there will be opportunity for questions and answers, and will conclude with a glass of wine for participants. 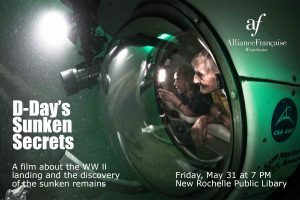 Tickets for this not to be missed historical event are $20 for Alliance members and $25 for non-members and can be had by visiting the Alliance website at https://afwestchesterny.org. For group ticket information visit [email protected]. Veterans with their identification cards or discharged papers are encouraged to attend and admitted free once registered on the website. This entry was posted in Press Releases and tagged celebration, cultural events, History, music. Bookmark the permalink.